It’s looking like it’s going to be a lit Christmas this year. 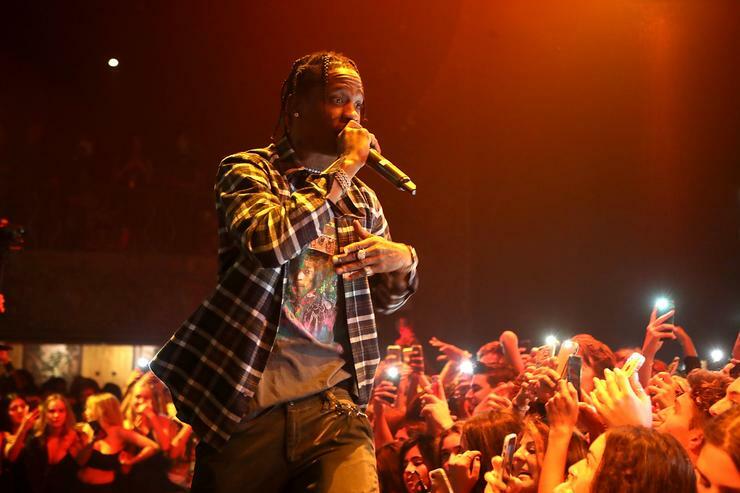 Fans have been patiently waiting for the release of Travis Scott & Quavo’s joint project ever since the two first announced it back in April, but after months of anticipation & hype, the wait appears to be almost over. A couple weeks ago, Quavo announced the title of the album Huncho Jack, Jack Huncho, which gave us some hope that its release was nearing, and now they’re teasing the project once again, this time for a possible Christmas release. While nothing has been confirmed, it’s pretty safe to assume they were hinting at a Monday release (Christmas day) for Huncho Jack, Jack Huncho, or possibly even sooner if they’re treating fans early. Little information is known about the project, other than that engineer Mike Dean is getting his hands involved, but outside of that everything is still pretty much a secret. While we wait for confirmation or further details, check out the IG posts (below) and let us know what you think. Who’s ready to finally hear Huncho Jack, Jack Huncho? Travis Scott & Quavo – Huncho Jack, Jack Huncho Album Download Here! !